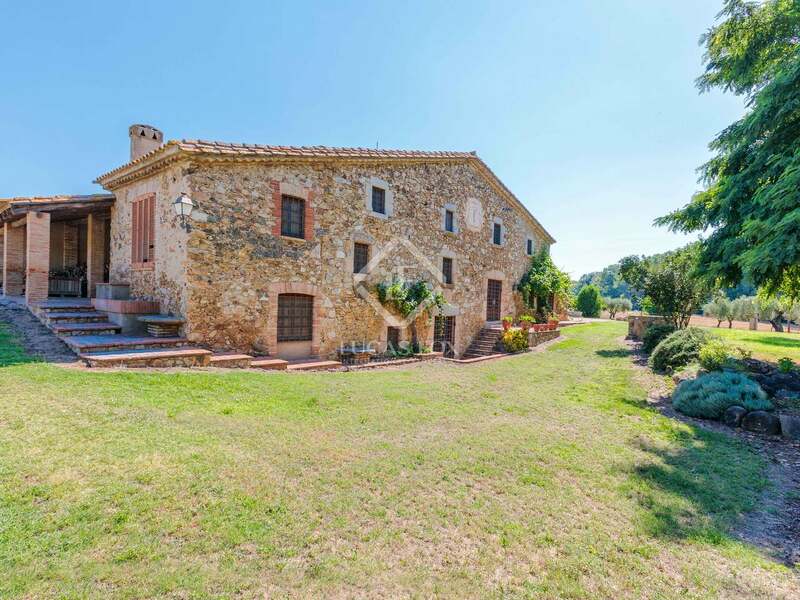 Set in a prime location near Girona city and the Costa Brava, this is one of the region's largest country estates. 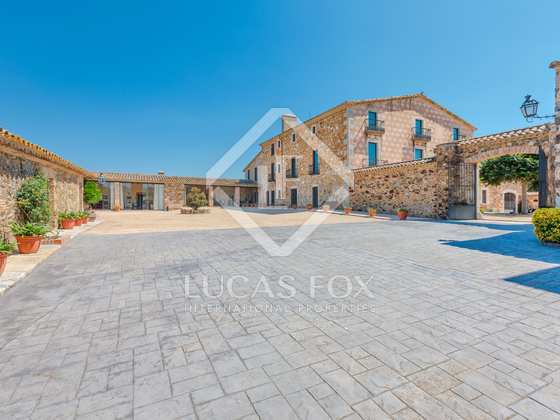 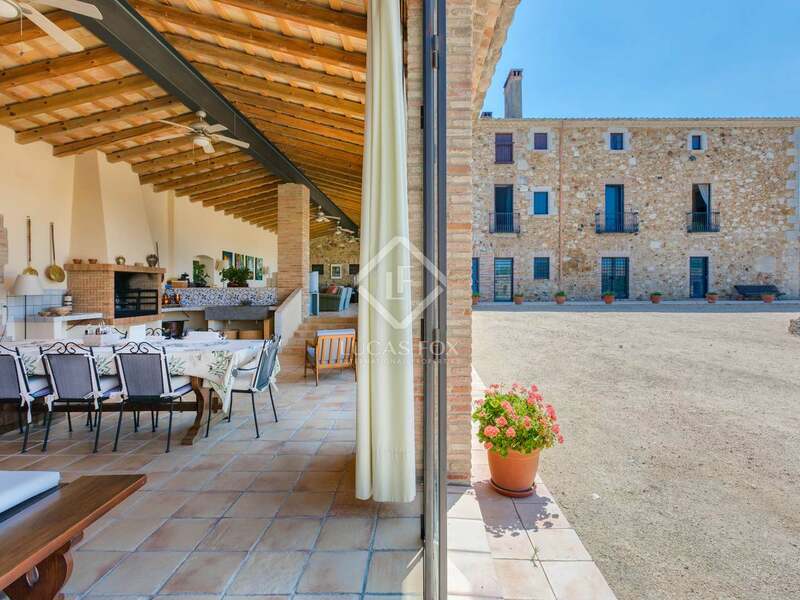 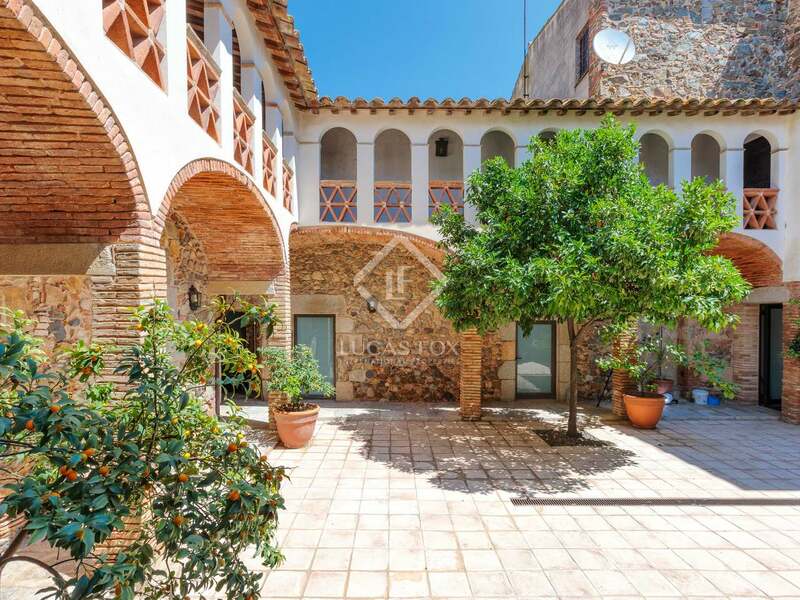 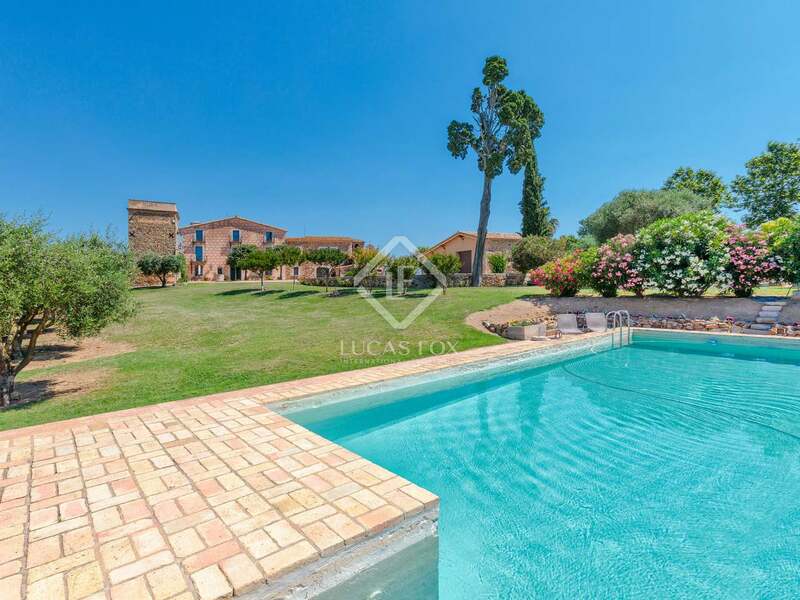 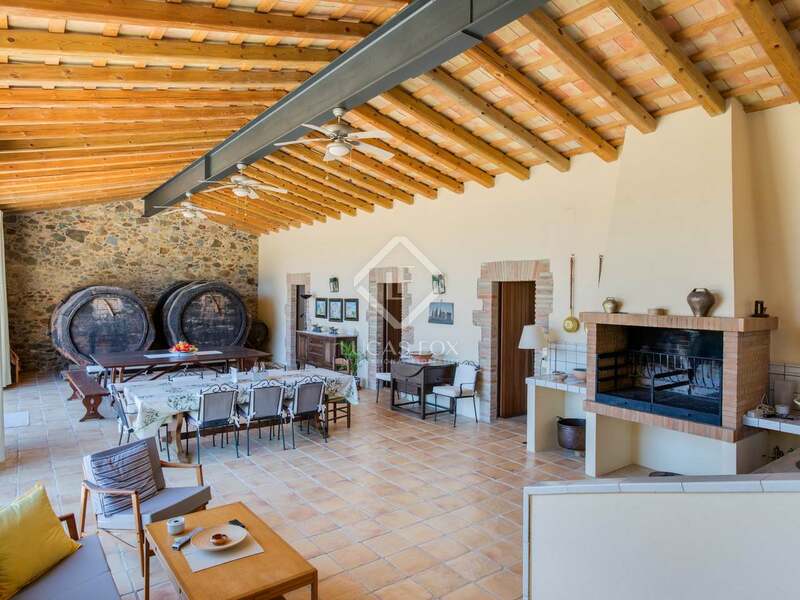 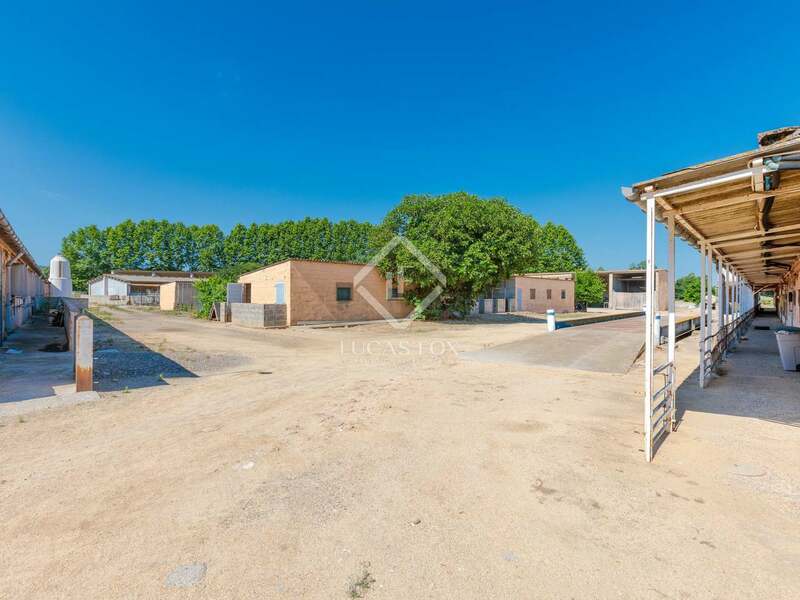 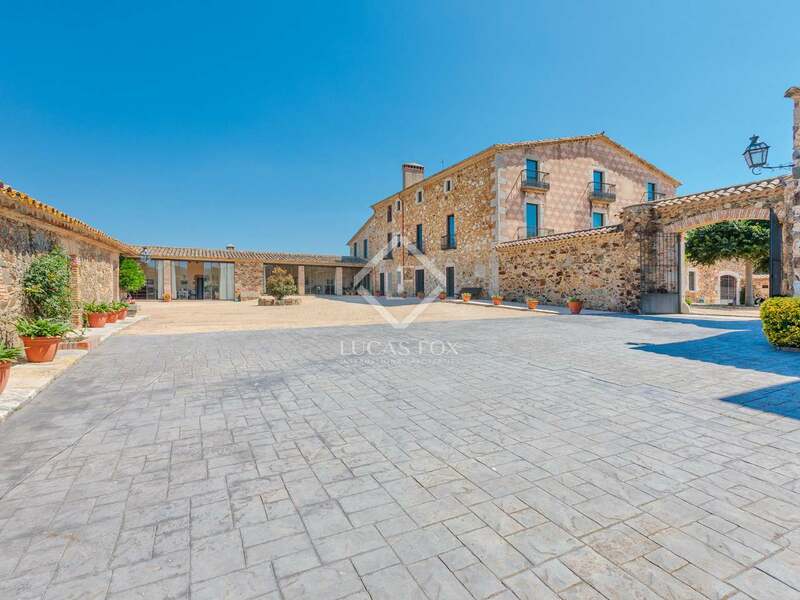 Set in 137 hectares of land the estate comprises several properties, including a majestic 12th Century masia, a livestock farm (not currently operational) and an additional 5-bedroom converted watermill. 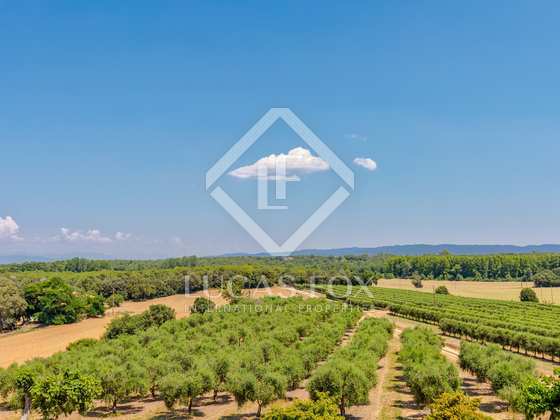 Also within the estate there are 35 hectares of olive groves - commercially exploited and producing 15.000 litres of olive oil per year. 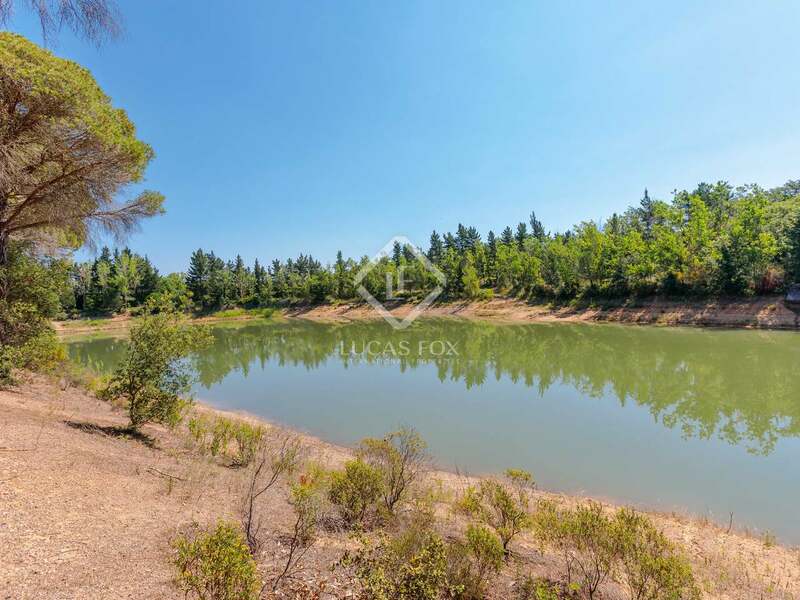 Furthermore, there is a large private reservoir with a capacity of 160.000 m3 providing sufficient for irrigation for the entire estate. 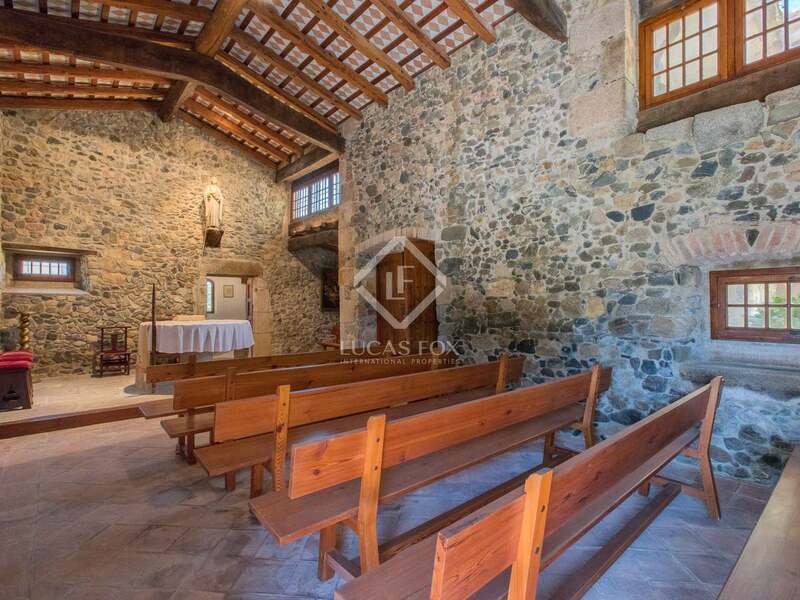 The main house boasts a private chapel, swimming pool, walled gardens and beautiful interior courtyard. 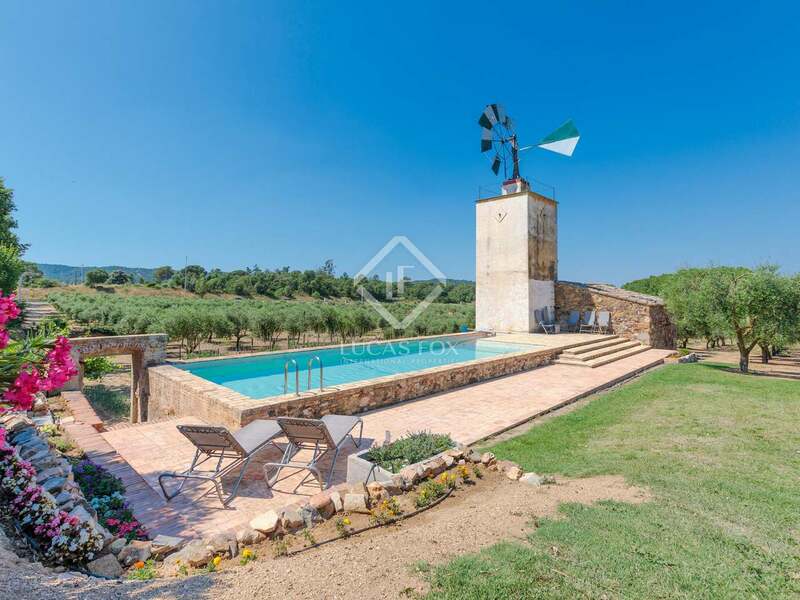 It also enjoys spectacular panoramic views across the private olive groves and fields to the snow-capped Pyrenees beyond. 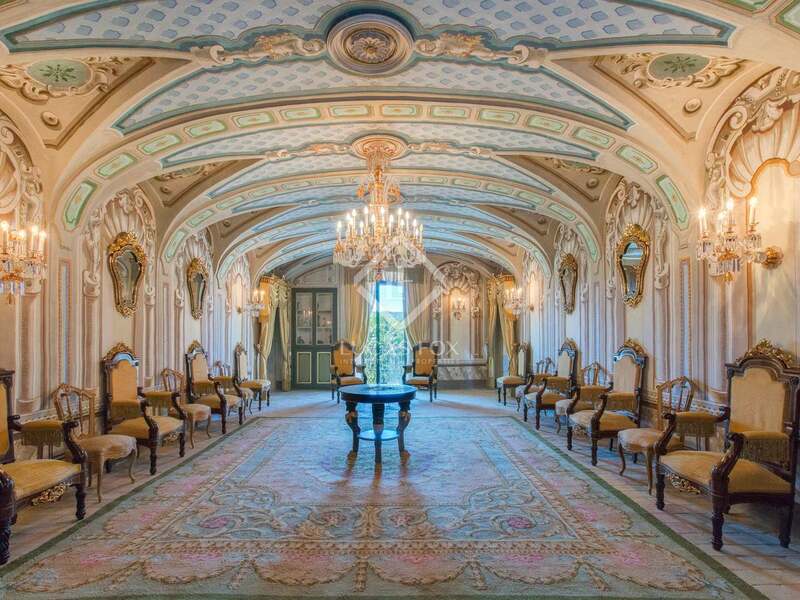 A combination of history and luxury is clear throughout the property. 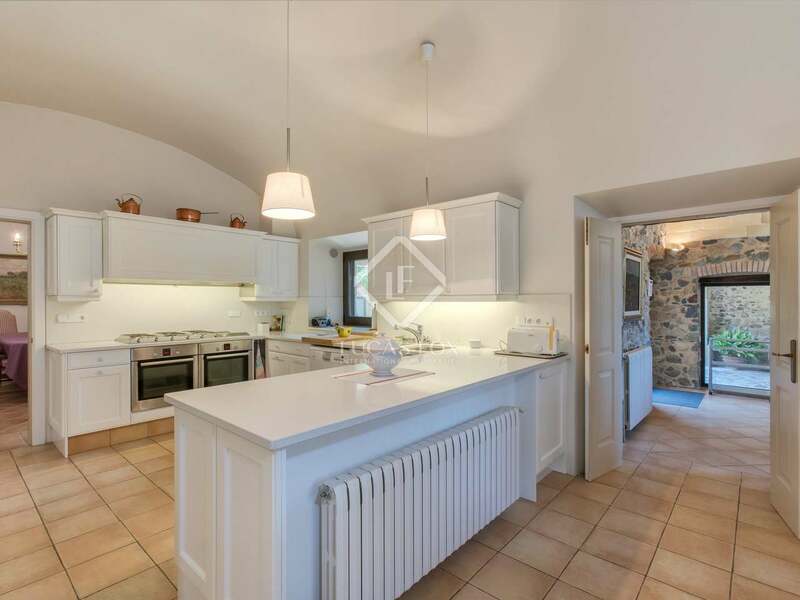 The ground floor has been renovated to a high standard whilst the original character and features of the upper floors have been respectfully maintained, boasting numerous bedrooms and a spectacular reception room with elaborate painted walls and ceilings. 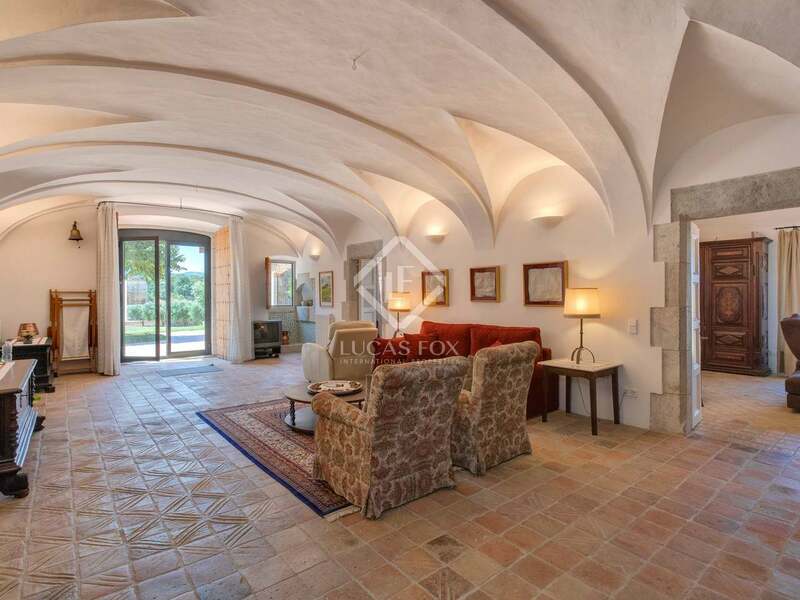 There are several reception rooms in the property - including a vast summer porch overlooking the walled garden - and the interiors are grand, cool and open, with natural stone, tiles and lovely original features. 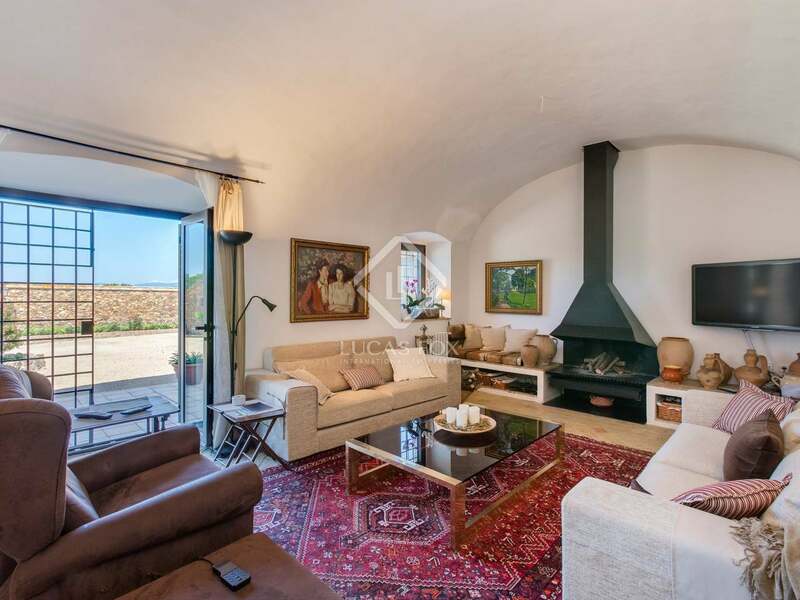 The watermill, located 1km from the main house, was restored in 1977 and offers 5 bedrooms and 4 bathrooms. 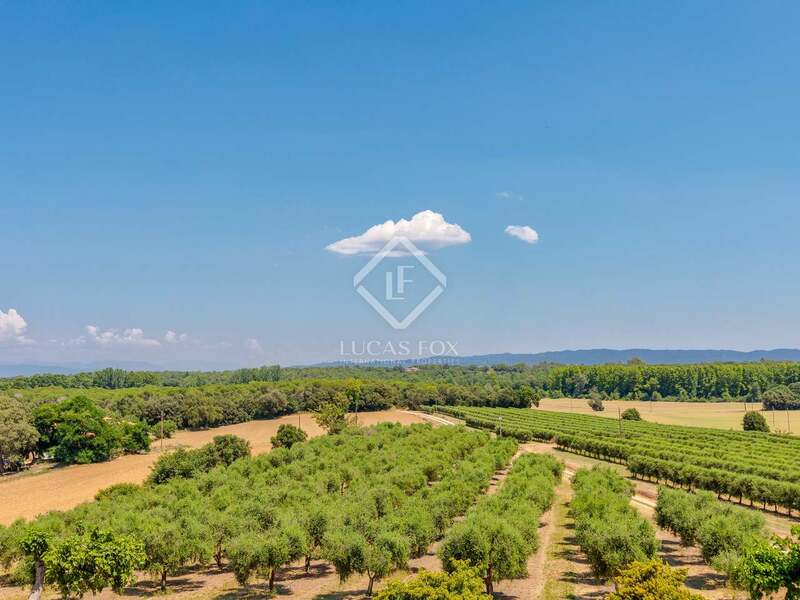 Aside from the olive groves, the estate offers 15 hectares of cultivated land and over 100 hectares of mediterranean woodland. 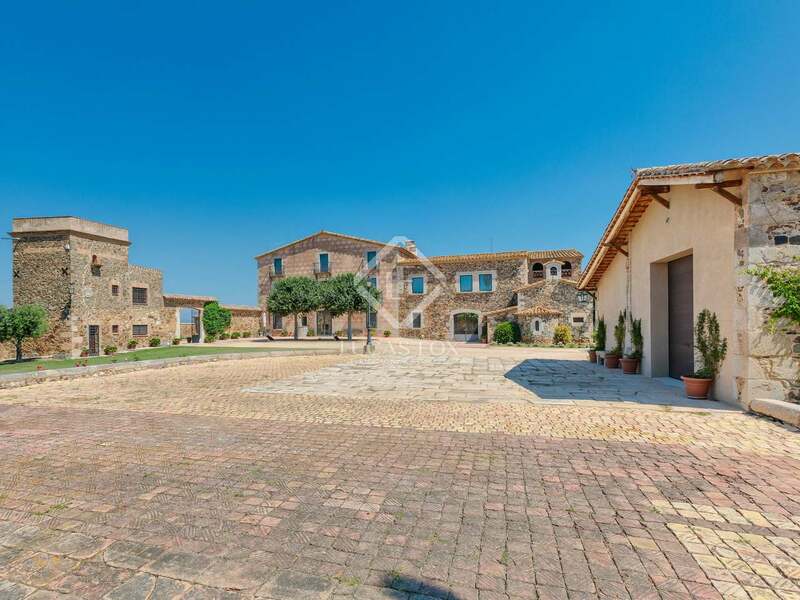 This unique estate offers endless possibilities to a potential investor. 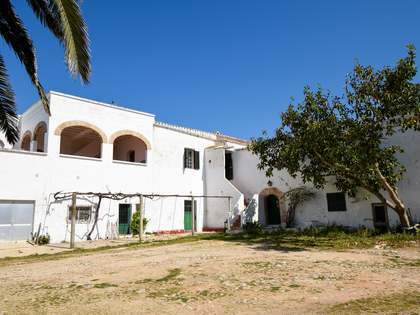 Its location and characteristics make it ideal for commercial exploitation either as a luxury hotel, a country resort or for agricultural purposes. 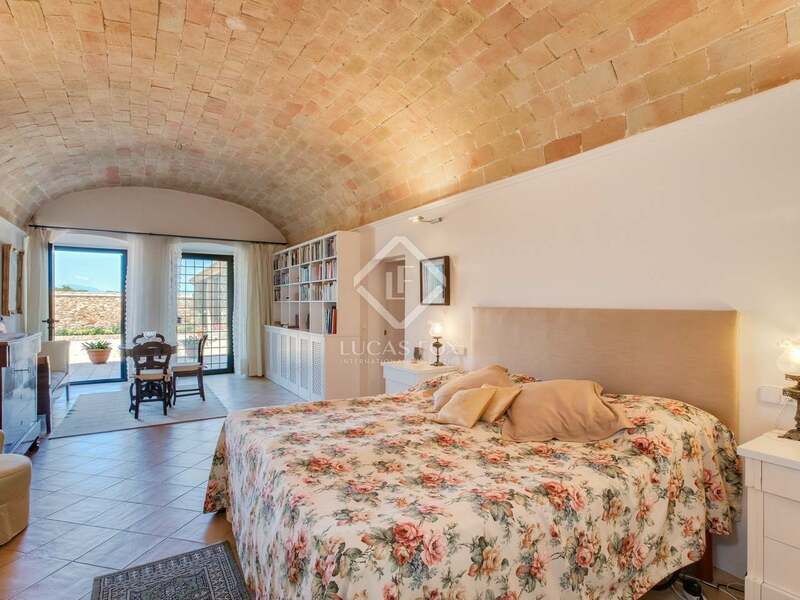 The main house is distributed over three levels with several receptions rooms (including a vast summer porch overlooking the walled garden) and numerous bedrooms. 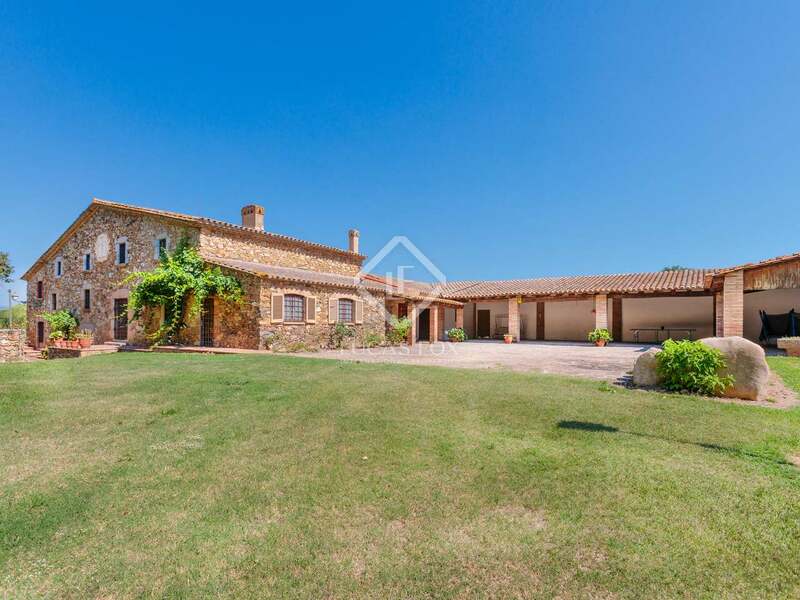 In total the main house offers 12 bedrooms – plus a separate staff house. 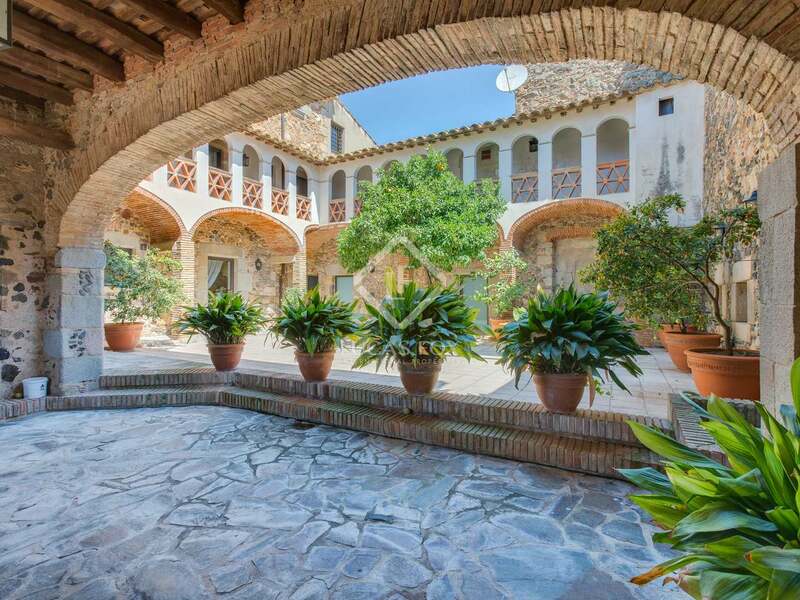 The guest house has 2 bedrooms and the second masia, which is distributed over three levels, boasts 5 bedrooms. 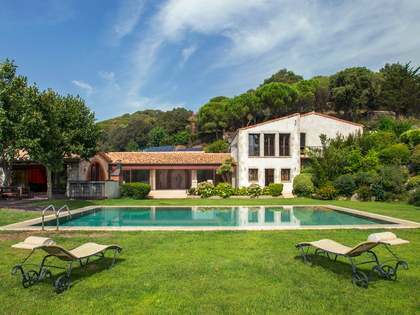 This majestic estate sits in beautiful countryside just 20 minutes from Girona, the nearest beaches of the Costa Brava and Girona airport. 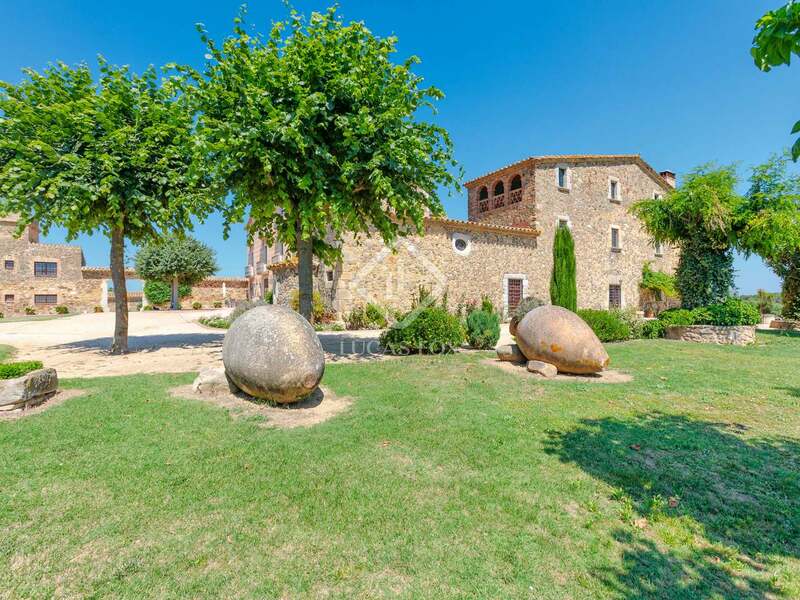 The nearest international school is only 19 kilometres away, and it's just 15 kilometres to the nearest golf courses, with the PGA Catalunya resort offering world-class facilities. 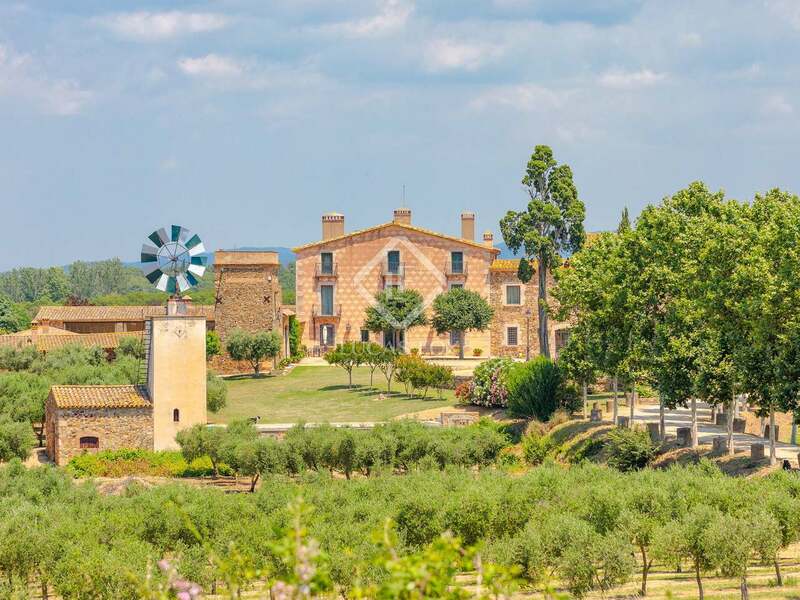 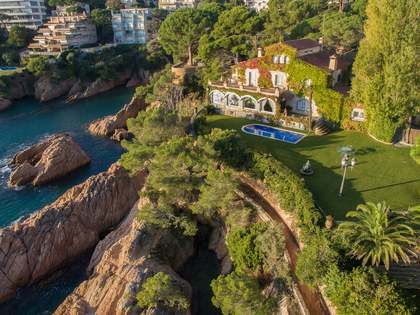 The location is 90 kilometres north of Barcelona with its cultural jems and international airport, and 90 kilometres from the French border. 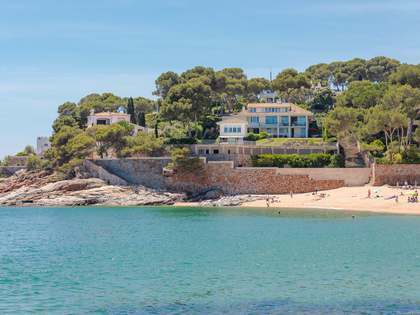 Girona is just 23 kilometres away and offers another excellent airport for easy access to the rest of Europe.